Fernand Forrester Willoz III passed away on Monday, April 23, 2018 at the age of 86. Beloved husband of Margaret G. Willoz for 60 years. Father of Fernand “Forrest” Willoz IV, Tania Willoz (Spouse), and Michael James Willoz. He is also survived by four Grand-children: Margaret G Willoz, Lacy H. Willoz, Emmamae C. Willoz, and Helen T. Willoz, sister Joy Willoz Gustafson, and brother-in-law Paul “Gadget man” Gustafson. Son of the late Fernand Willoz Jr. and Emma Durel Willoz. Custodian of “Duffy,” his loyal Scottish Terrier. Fernand was a member of Galleo Mazzini #368 (Lodge). Sts. John Charter #98, Sts. John Council#41, Indivisible Friends Commander #8. St Paul Conclave. Conclave. R.C.C, Louisiana Priory #43, N.O. Temple Guard, New Orleans Power Squadron (Past Commander), and M.O.W.W, Military Order of World Wars. He served his country with the United States Navy during the Korean War. 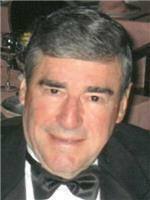 He graduated from Tulane University Law School and practiced law for over 60 years in private practice specialized in Successions. In his spare time, he enjoyed: Sailing, fishing, reading, spending time with his children and grand-children, and watching FOX news. A Funeral Service will be held on Saturday, April 28, 2018 at 12 PM in the Chapel of Lake Lawn Metairie Funeral Home, 5100 Pontchartrain Blvd in New Orleans. Visitation will begin at 10 AM. Interment will follow at St. Louis Cemetery #3. To view and sign the family guestbook please visit www.lakelawnmetairie.com.